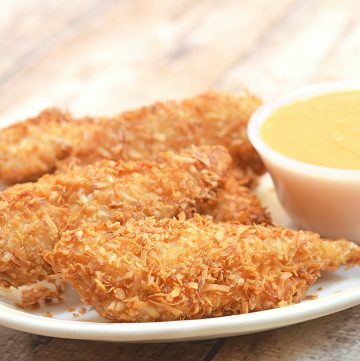 Golden, ultra flavorful and amazingly crunchy, these Coconut Chicken Tenders with Spicy Mango Sauce are absolutely addicting! They’re so quick and easy to make, you’ll have a huge batch ready in no time. The abundance of ice creams and heavy use of bacon, cream cheese, and pasta on the blog may say otherwise but I do believe in the importance of wholesome grains, generous servings of fruits and vegetables and moderate fat intake in our daily diet. Yet as much as I am all for healthy choices, I have to say, there are certain foods in this life that are meant to be fried. Deep-fried, to be exact. Like popcorn chicken. Or eggrolls. And definitely, french fries. There must be a kitchen tip, step or hack I missed along the way, but I have tried baking breaded foods on many occasions and they just don’t turn out as golden and delicious as when deep-fried. Cooking foods in a vat of hot oil do entail extra calories and a bit more work but the reward of evenly-browned, ultra flavorful and amazingly crunchy coconut chicken tenders is so worth it in my book. If you’re looking for fabulous party food that’s sure to be a hit with the crowd or an awesome weeknight meal the whole family will love, look no further than these coconut chicken tenders with spicy mango sauce! A delicious combination of sweet and savory, tender and crisp, they’ll have your guests begging for more. The good thing is, they’re not only a breeze to make, but they also freeze well for future use. You can easily double the batch and have them ready to fry when cravings hit. Using these tips below, you’ll churn out these beauties perfectly every time, anytime. 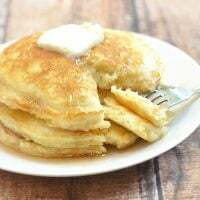 Use cornstarch and egg whites in place of flour and whole eggs to bind things together, making the “base” light and thin instead of heavy and eggy. For delicious crunch, use a mixture of shredded sweetened coconut and Panko bread crumbs. To ensure the coat adheres better during frying, arrange the coated chicken tenders in a single layer on a sheet pan and freeze for about 20 to 30 minutes or until firm. With a little wait time, you’ll have a lot fewer coconut flakes and crumbs floating in the oil and more on your tenders where they matter! To store for future use, just transfer the frozen chicken pieces into resealable plastic bags. Make sure your oil is at the optimal range of 350 F to 375 F. I can’t stress enough how crucial the temperature is in deep-frying. Too hot and the breading will brown well before the inside is cooked through. Too low and the chicken tenders will absorb a lot more oil. To prevent the oil from plummeting, do not overcrowd the pan. Fry in batches as needed but make sure to bring the temperature back to 350 F before adding the next batch. Don’t drain the fried chicken tenders on paper towels or the steam will make them soggy. Instead, drain on a wire rack set over a baking sheet or pan to catch oil drips. Amazing on their own, I’ve been known to gobble a bucketful of these coconut chicken tenders straight off the frying pan. But coconut chicken tenders with spicy mango sauce? Out of this world delicious! This dipping sauce, my friends, is the standard dipping sauces should be measured by. Creamy, sweet and spicy from fresh mango pulp, yogurt, mayo, honey and generous dashes of Srichacha, it’s the perfect compliment to an already awesome dish. Golden, ultra flavorful and amazingly crunchy, these Coconut Chicken Tenders with Spicy Mango Sauce are absolutely addicting! 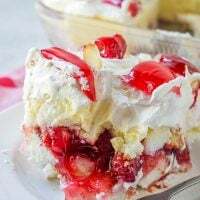 They're so quick and easy to make, you'll have a huge batch ready in no time. In a bowl, combine chicken tenders and seasoning salt. Massage well and allow to marinate for about 10 minutes. In one shallow bowl, beat egg whites until frothy. In another shallow bowl, place cornstarch. In another shallow bowl, combine shredded coconut and Panko bread crumbs. Dredge chicken in cornstarch, dip in egg white and then dredge in coconut-bread crumb mixture to fully coat, pressing down to adhere well. Arrange prepared chicken in a single layer on a baking sheet and freeze for about 30 minutes or until firm. 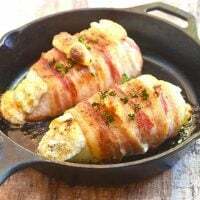 In a skillet over medium heat, heat about 3 inches deep of oil to about 350 F to 375 F. Add chicken and deep-fry, turning as needed, for about 4 to 7 minutes, or until golden brown and crisp. Do not overcrowd the pan, cook in batches as needed. With a slotted spoon or tongs, remove chicken from pan and drain on a wire rack. Serve with spicy mango sauce. Slice mango and scoop flesh, discarding pit and skin. In a blender or food processor, process mango until blended (like the texture of applesauce). In a bowl. combine mango pulp, yogurt, mayonnaise, honey, Sriracha sauce, lime juice and salt. Stir until smooth. Refrigerate until ready to use. Please note that the nutritional facts below do not include the spicy mango sauce which provides an additional 117 calories, 3.7 g protein, 3.4g fat, and 354mg sodium per serving. Oh man, these look delicious. And the mango sauce sounds like the perfect accompaniment. Yum! Coconut and Mango! Now thats a combo you can never go wrong with! Those chicken tenders look amazing. 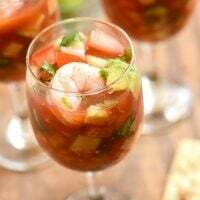 What a clever idea to pair them with a Mango dipping sauce. Must try it. The perfect crispy chicken and that mango sauce is to die for, yum, yum!!! Sounds delicious. I love a coconut coating. Great tip about the egg white and cornstarch. Those look perfectly crispy and that sauce! Amazing. I could eat this all day long, every single day and never get tired of it. Great recipe. I have been looking for a good coconut chicken recipe. So glad you shared this. Pinning to try! Talk about the perfect meal! Love the mango & coconut combo, sounds so good. They look perfectly crunchy too! yum, my kids love chicken nuggets or anything similar and my husband loves coconuts. Win, win here. I never thought of making a batter for the chicken using coconut. What a great and healthy idea! Also the mango sauce would be perfect for a hot summer day, it sounds very refreshing. O I could eat these everyday! Love that mango sauce!